Hello to you all! When you consider updates such as paint and décor, to our homes I know many of you are afraid of colour. 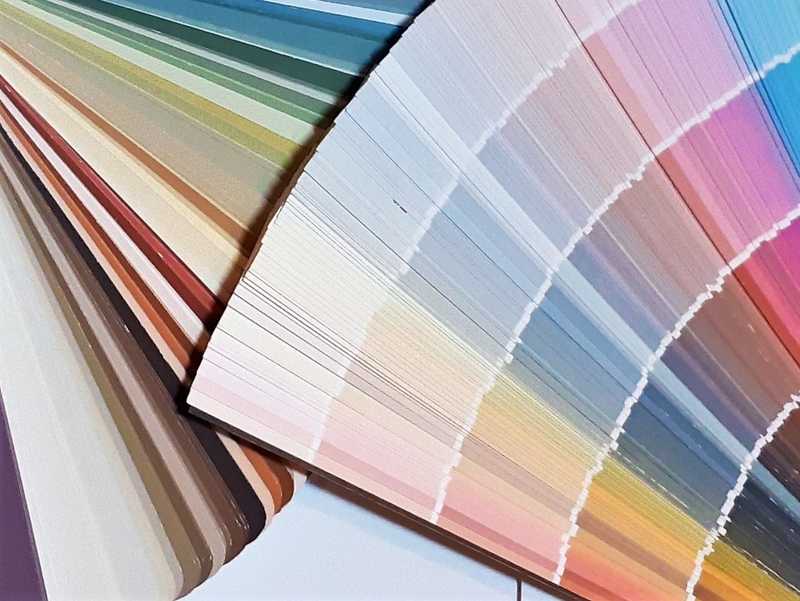 Facing the wall of colour chips in your local home improvement or paint store is intimidating and can have your pulse raising, your eyes glazing over and your mind racing. How do you ever decide what is best for that room we’re making over?! Read on for tips that will boost your colour confidence! Is the room going to be used for dining, relaxation, socialization or creativity? Each colour and colour variation has different psychological aspects associated with it that set the mood in the space, convey an emotion and inspire action. For example, green is balanced, restful and renewing; red is strong, positive, passionate; blue is peaceful, serene and calming. Carefully consider the use of the room and the ambiance you are trying to achieve when selecting a colour. Orientation of the room affects the amount of natural light it receives throughout the day. Consider the time of day the space will be used for its primary activity. The direction will also influence the type of paint finish you should opt for. For example, a north facing room does not get much natural light so semi-gloss or high gloss paint is the best option as it reflects light and makes the room appear brighter. A south facing room will get lots of natural light so a matte finish works well. What Furnishings Are In the Room? If you have fav pieces you want to use in the room, consider the colour of the finish on tables and the colour/pattern of the upholstery. Finishes and colour can greatly influence the adjacent colour on the walls making it look much different than the paint chip. Be sure to paint a test patch to ensure the tone and shade will work well with the pieces in the room. Do You Have a Fav Colour? Are there any colours you just can’t live without? Is there a colour range you love and always find yourself gravitating towards? If so, perhaps a new shade of that colour will be the perfect option for your space. Conversely, is there a colour or colours you can’t abide? For example, if you really don’t like orange or yellow, rule them out right away; don’t waste time trying to make friends with these colours! When selecting a colour remember that every colour can be cool or warm, have different undertones and have different tints (more white added to the colour) or shades (more black added to the colour). If the colour you are choosing is going to be changed out in a few months or a year, be bold and experimental. If you are going to live with the colour for longer period of time, take more time selecting the colour and carefully consider your choice. If you tend to the neutral palette, don’t restrict yourself to plain ole’ white. While these are easy and practical choices, consider that other colours fall within the neutral category. For example, grays are an outstanding choice as a neutral - they can be green based or blue based, have more or less saturation or hue so are anything but boring. What I love about neutrals is that when you are bored or tired with the look, a simple change of décor accessories such as candles, a comfy throw or pillows from any other colour family is an inexpensive way to update and transform the look of the room. 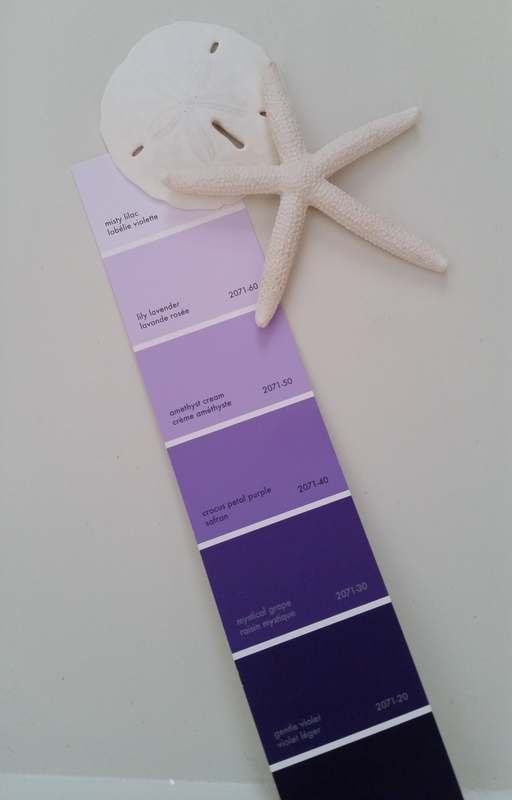 I hope these tips will boost your confidence and ease your nerves when selecting a paint colour and finish the next time you find yourself standing in front of that intimidating wall of colour! With some consideration, selecting the perfect colour can be a fun and exciting venture and a perfect way to express your personal décor style and taste.